Posted May 11th, 2016 by Mobile Music School & filed under Music Lessons, Percussion Lessons, Pre-Instrumental. 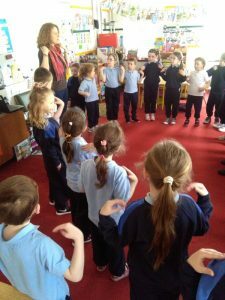 Mobile Music tutor Siobhán has been having great fun with the four Senior Infant classes in Newbridge. As part of our ‘Learn & Explore’ short programme, she has been helping the children develop their musical abilities through song singing, music games and listening to music. These interactive, fun and activity-based classes aim to enhance each child’s musical awareness and to give each child a firm musical foundation. The students have also been introduced to a number of percussion instruments; it’s such a pleasure to see our pupils exploring and playing them. The syncopated clock went down a treat. 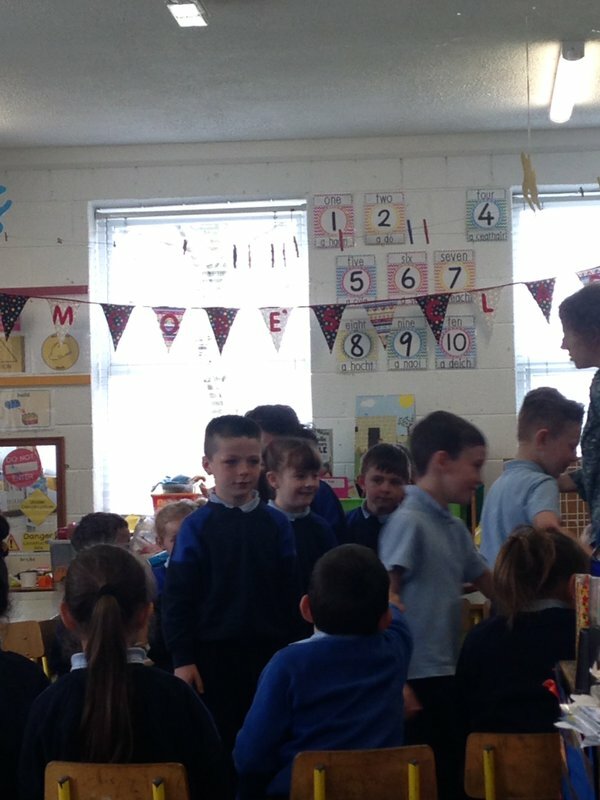 Each class group were delighted to get out of their seats and march around to the beat. With these classes, each child gets the opportunity to discover the magical story that music has the power to tell. Throughout the course of the programme, students explore the role of the conductor and investigate the importance of percussion, as well as learning about dynamics, tempo, mood, the beat and rhythm. 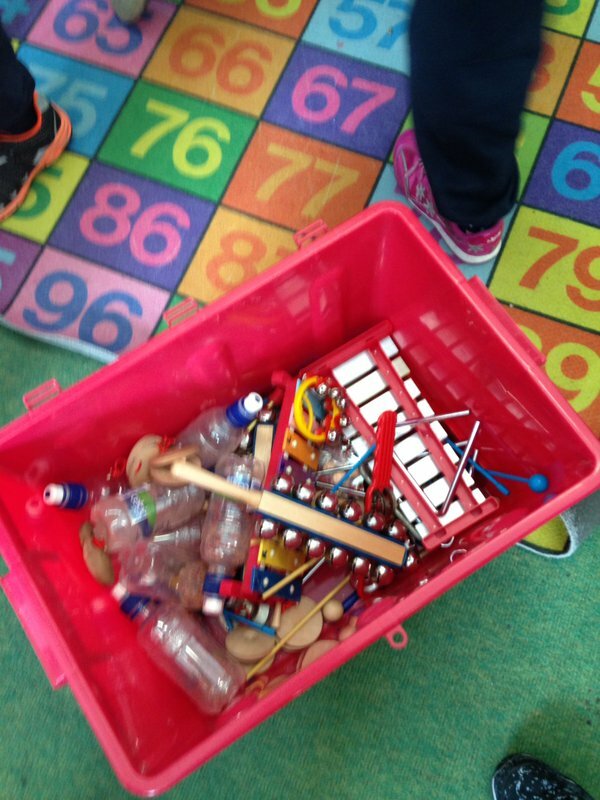 Over the next few weeks, our students will focus on composing music using set sounds. This course culminates in a classroom performance of the songs and percussion music learned during the programme.